Fulvius Junius Macrianus was the son of General Fulvius Macrianus and the older brother of Quietus. Following the defeat of Emperor Valerian I at the hands of the Persians, the remnants of the Roman legions gathered to elect a new Emperor. The troops were led by General Fulvius Macrianus, one of Valerian’s generals, and Ballista, the Praetorian Prefect. Between the two leaders, It was decided that the sons Fulvius Macrianus would be proclaimed co-emperos. Thus, Macrianus and his brother Quietus. The legions then launched a counter-attack against the Persians and scored a major victory. 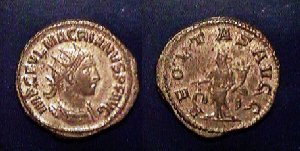 Now confident of their success, General Macrianus and his son Macrianus departed for the West where they hoped to be victorius againstGallienus, the son of Valerian I. Quietus, remained behind at Emesa to maintain control of the East. 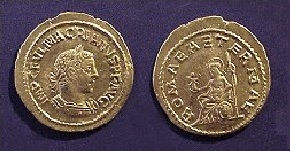 As Macrianus and his father reached Illyricum, they were met by the legions of Gallienus under the command of his general Aureolus. In the battle that followed, Macrianus’ legions were defeated and Macrianus, along with his father, were both slain.